HE ONLY HAS EYES FOR ME! WHEN people use body lotion they hope for a result on their bodies. 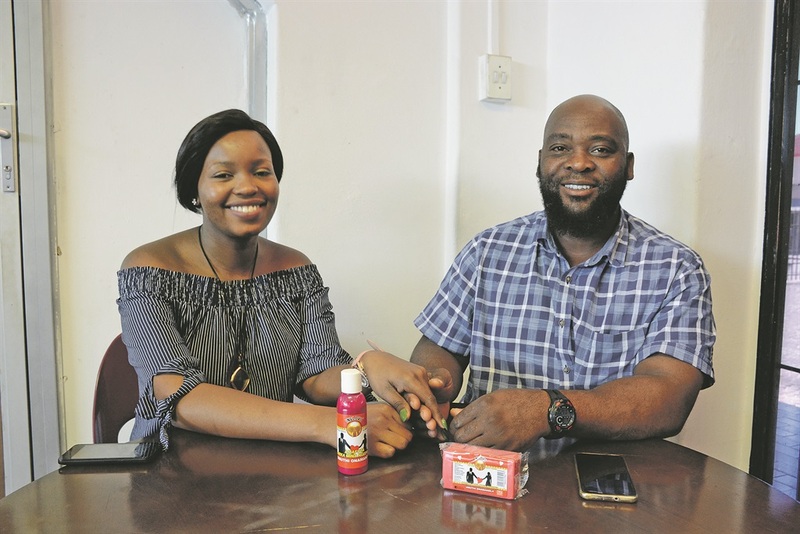 But when Happiness Nyathela (24) and her lover Voy Mlambo (36) use theirs, they trust that it will strengthen their love for each other. The lovers from Turffontein in Joburg told Daily Sun that they’d been using their Bheka Mina Ngedwa for two years. And it had done wonders for their relationship! “It has made our love stronger,” said Happiness. Bheka mina ngedwa is Zulu for “Only have eyes for me”. The body lotion the lovers use seems to be doing exactly that. “I can’t look at another woman twice,” said Voy. They wouldn’t let go of each other’s hands when the SunTeam visited their home. “We got involved in the first place because we wanted to spend the rest of our lives together,” said Happiness. She couldn’t stop smiling at her lover of more than three years. Happiness said she saw the product being advertised on Facebook and decided to try it out. The lovers said they were planning to take their relationship to the next level.